I made this inspirational poster the other day. 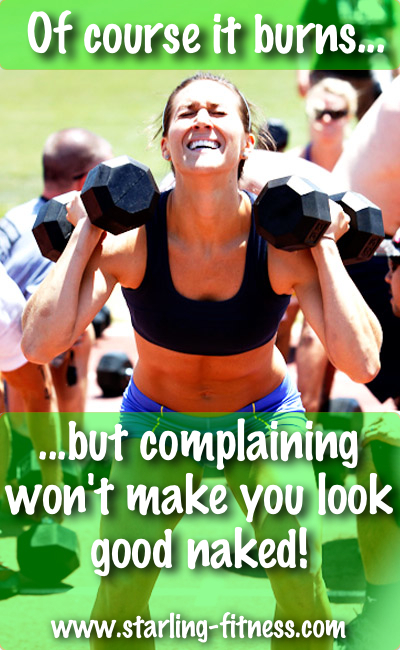 Of course it burns, but complaining won’t make you look good naked. I surprise myself at how wimpy I can be sometimes. After a hard workout, it hurts to climb the stairs to my bedroom the next day. If I want to be a hottie, though, I’m going to have to live with a little pain on the way up the stairs. It’s a lot better than living with the pain of being the fattest girl in the room.